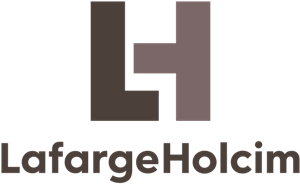 Partner, Investment Team, Helios Investment Partners since 2017. 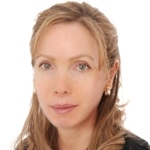 She started her career at Arthur Andersen in 1997, before joining Rothschild’s M&A team in Paris. 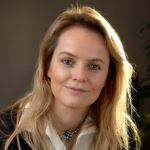 She spent 19 years in M&A in Europe and developed in parallel Rothschild’s M&A franchise in Morocco and Francophone Africa (2006-2013). 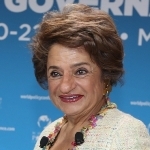 She was appointed Managing Director in 2011 and Head of Africa in 2013. She left the bank in 2014 to develop her own M&A business, staying on as a Senior Advisor at Rothschild. She graduated with an engineering degree from Ecole Centrale Paris. 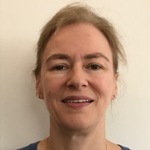 She acts also as an independent Board member for Caceis (The European leader of custody services and subsidiary of Credit Agricole) and for Banque Centrale Populaire. Ambassador of the Islamic Republic of Iran to France since 2012. 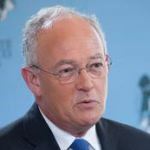 Previously, he served as Deputy Minister of Foreign Affairs, in charge of Europe and America (2011-2012), Deputy Minister of Foreign Affairs, in charge of Europe (2009-2011), Deputy Minister of Foreign Affairs, in charge of Education and Research (2008-2009). He was also Ambassador to Belgium, Italy and Malta. He started his career at the Ministry of Foreign Affairs in 1981. He graduated from the University of Tehran and the University of Lille (France). 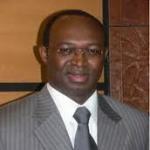 Honorary Consul of Burkina Faso in Nice (France) since 2003. 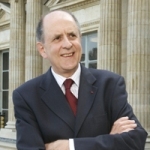 He served as the President of the French Union of Honorary Consuls in 2012. 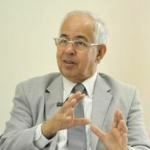 He was a member of the editorial board of Afrique Contemporaine (La Documentation française) and he is now Advisor to the editorial board of Géopolitique Africaine (African Geopolitics). He was also journalist, correspondent for foreign English-speaking radios. He is the author of several books on Africa. 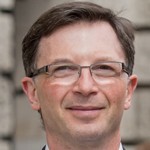 He holds a PhD in public law and in Arts (Philosophy); he is a member of the French Academy of Overseas Sciences, and is an Auditor of the French Institut des hautes études de la Défense nationale. 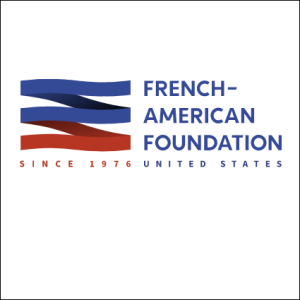 Partner of Apollo Global Management and Honorary Chairman of the French American Foundation – France. He is also Honorary Chairman of HEC Foundation and of the HEC Alumni Association. He started his career at the bank Paribas (1986-1988) and then at Lyonnaise des Eaux (1989-1992). He was appointed Chief Operating Officer and CEO of Techpack International (Pechiney-LBO France) (1996-1999) after having served as CFO (1992-1996) and then President of the Packaging Division Cosmetology Luxury International of Pechiney (1999-2000). 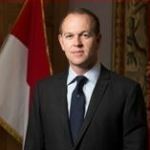 He also served as Chief Operating Officer of Lagardère Media (2000-2005) and as Chief of staff of H.S.H Prince Albert II of Monaco (2005-2006). He holds a Master degree from HEC, Paris. President of the Foreign Relations Commission of the National Council of Monaco. 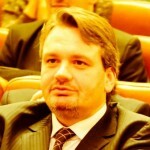 He is a member of several commissions: Finance and National Economy, Education and Youth, Housing. 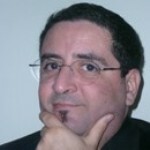 Since 1997, he is an independent telecommunication consultant. Among others, he held the position of Managing Director of Monaco Téléport and Chief Financial Officer of the Office des Téléphones de Monaco. He graduated from the Ecole Nationale Supérieure des Télécommunications de Bretagne. 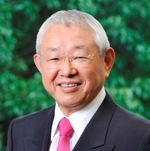 Special Advisor on Global Environmental Affairs, METI and Director General, Japan External Trade Organization, London. 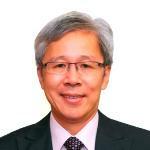 He joined the Ministry of International Trade and Industry (MITI) in 1982. Since then, he has been experiencing various positions with strong focus on energy and environment including Head, Country Studies Division, International Energy Agency (2002-2006), Director, International Affairs Division, ANRE/METI (2006-2007), Counselor, International Energy Negotiation, ANRE/METI (2007-2008), Deputy Director General, Global Environmental Affairs, METI (2008-2011). His All-Holiness Bartholomew 1st was elected in 1991 Archbishop of Constantinople, New Rome and Ecumenical Patriarch. 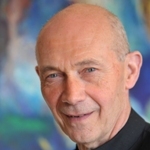 His personal experience and his theological formation give him a unique perspective within ecumenical and inter-religious relations and environmental issues. He is working to bring about reconciliation within Christendom. He was ordained to the Diaconate in 1961 and to the Priesthood in 1969. 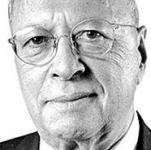 He served as assistant Dean at the Patriarchal Theological School of Halki and then as Director of the Private Patriarchal Office of the Ecumenical Patriarch Dimitrios (deceased in 1991). 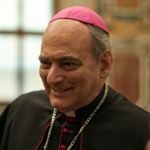 He studied at the Patriarchal Theological School of Halki, the Pontifical Oriental Institute (Gregorian University), Rome, the Ecumenical Institute, Bossey (Switzerland) and the University of Munich. Foreign Minister of Sweden since 2006. 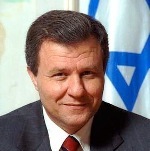 He served as Prime Minister (1991-1994). He was also a member of the Swedish Parliament (1976-2001) and the UN Secretary-General’s Special Envoy for the Balkans (1999-2001). Previously, he held the position of European Union’s Special Envoy to the former Yugoslavia (1995) and High Representative for Bosnia and Herzegovina (1995-1997). 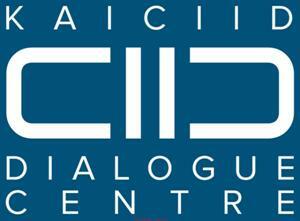 Secretary-General of the Vienna-based King Abdullah bin Abdulaziz International Centre for Interreligious and Intercultural Dialogue (KAICIID) since 2012. Prior to this appointment, he held a number of senior positions in the Saudi Arabian administration and various nonprofit organizations. 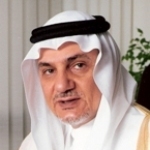 He served as Vice Minister of Education of the Kingdom of Saudi Arabia (2009-2011), Advisor to the Royal Court of the then Crown Prince Abdullah bin Abdulaziz Al Saud, and Deputy of the National Guard for Cultural & Educational Affairs. He graduated from the King Saud University and Webster University, USA. 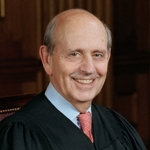 Associate Justice of the U.S. Supreme Court since 1994. He was appointed as such by the former President Bill Clinton. 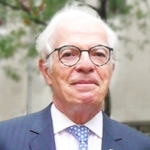 He first served as a law clerk to Justice Arthur Goldberg in 1964, before becoming assistant special prosecutor during the Watergate scandal (1973), Justice for the United States Court of Appeals for the First Circuit (1980-1994) and law professor at Harvard University (1967-1994). He graduated from Stanford University, Oxford Magdalen College and Harvard Law School. Ambassador of Canada to France and Monaco since 2012. 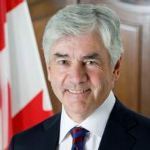 Prior to this appointment, he was an influential member of the Stephen Harper Cabinet, serving as Canada’s Minister of Foreign Affairs (2008-2011). He served as Minister of Transport, Infrastructure and Communities and Minister responsible for Québec in the Government of Canada (2006-2008). He was also a Member of Parliament for the riding of Pontiac, Québec. 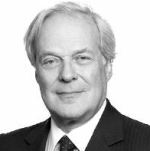 He served as Minister of Communications of Québec (1990-1994). He graduated from the Université Laval (Québec City). Chairman & CEO of AXA since April 2010. He joined AXA’s Corporate Finance Division in 1989. In 1991 he was named Corporate Secretary. Two years later, he was appointed Senior Executive Vice President. 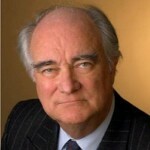 He was Chairman of the AXA Management Board (May, 2000 – April, 2010). He started his career in the French Finance Ministry Inspection Office. 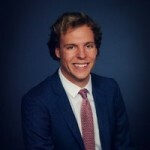 He sits on the Board of the Association pour l’aide aux jeunes infirmes, and is Chairman of AXA Hearts in Action, AXA’s volunteer community outreach program. He graduated from the business school HEC and holds a bachelor degree in Law. He is a former student of ENA (Ecole Nationale d’Administration). Managing Director of EFG Bank (Monaco), a position he has held since January 1994. 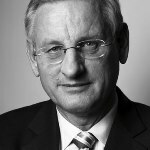 He has also held positions as Director of EFG Asset Management S.A. in Luxembourg and as member of the EFG Bank Group Advisory Committee. From 1988 to 1992, he was a member of the Investment Funds Group at EFG Private Bank in Geneva. He is a graduate of ACS in Switzerland. 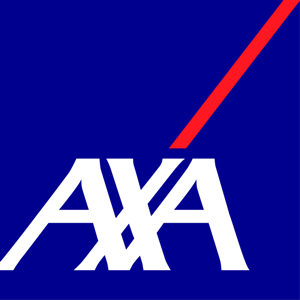 Group Investment Chief Operating Officer, AXA. Before joining AXA in 2003, he worked in French banks as an option and swap trader and as a Risk Manager. 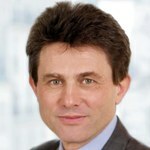 From 2003 to 2007, he was responsible of the ALM Department of Axa France. 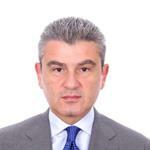 Then he was appointed Chief Financial Officer of Axa Assicurazioni, one of the Italian entities of Axa. 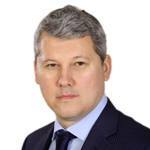 In 2010, when Axa created the Group Investment and ALM department, he was appointed as Group Investment Chief Operating Officer in charge of ALM of the Group and Investment monitoring. He holds an engineering degree and is a certified actuary. 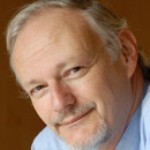 Consultant and political analyst, Director of the French website expression-publique.com. 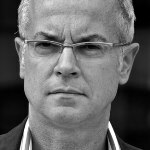 He is currently in charge of the column “En quête d’opinion” of the French newspaper Nouvel Observateur and Founding President of Paradox’Opinion, consulting firm specializing in public affairs. He was Director of Political Studies at IFOP. He took part in the collective work “Le dictionnaire du vote” (PUF). 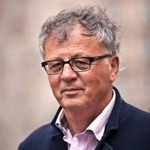 He contributes regularly to the French newspaper Le Monde since 2001. He graduated from IEP Paris. 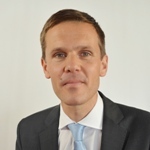 Chief Investment Officer, AXA France. 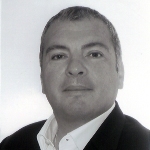 He joined AXA early 2001 as a structured portfolio manager in AXA Investment Managers. He soon became AXA IM Head of Structured and Index management business. He was promoted in 2008 to Global Head of Solution Engineering, Structuring and Development, including client relationship management of all AXA Insurance Companies across the globe for their main fund assets. He then took the lead on AXA IM worldwide Asset Allocation teams, Derivatives and Quantitative management teams in Multi Asset Client Solutions Group. 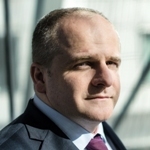 He was promoted AXA France CIO end of 2012. Before joining AXA, he has worked for two years at Cardif Asset Management, BNP Paribas’s insurance subsidiary. He graduated from the Ecole Centrale de Paris and from Paris-Dauphine University and ENSAE. Member of the Executive Board of the European Central Bank. 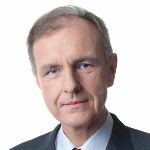 Prior to joining the ECB, he was Deputy Director General and Chief Economist of the French Treasury (2009-2011), Head of the Multilateral Affairs and Development Department, French Treasury, G8 and G20 Sous-Sherpa for France and co-Chair of the Paris Club (2007-2009), and Deputy CEO, then CEO of Agence France Trésor (2002-2007). He graduated from the École polytechnique, the École nationale de la statistique et de l’administration économique and the École des hautes études en sciences sociales and holds a B.A. in Japanese. 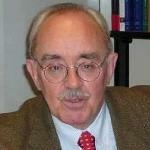 He has authored numerous books and academic articles in the field of international economics and economic policy. 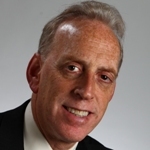 Global Chief Technology Officer of Capgemini and Country Board Chairman for North America. During his 30 year career at Capgemini in North America and Ernst & Young combined, he held positions from Consultant to partner/vice president to CEO. 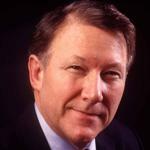 He also served on the boards for the Association of Management Consulting Firms (AMCF) and TechAmerica. He graduated from Georgetown University and from Southern Illinois University. 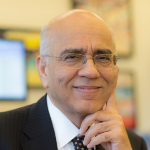 He is also a graduate of the executive leadership programs at the Kellogg School at Northwestern University and Harvard University. Minister of Foreign Affairs of Romania since 2012. Previously, he served as Minister of Justice (2012), Senator and Chairman of the Foreign Policy Committee in the Romanian Senate (2008-2012). He was also an Elected Member of the European Parliament (2007-2008), Observer member of the European Parliament (2005-2006) and a member of the Romanian Parliament (2004-2007). 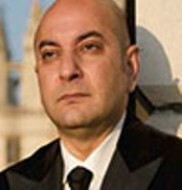 He held the positions of Personal Foreign Affairs Adviser to the Prime Minister (2001-2003), and State Secretary, Department for Romanians Abroad (2003-2004). 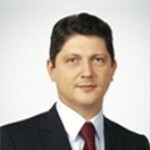 He holds a PhD in Law from the University of Bucharest. 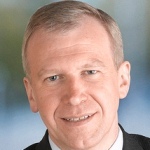 Executive Vice President, Capgemini. 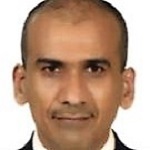 He has been Managing director in charge of global industry sectors within Capgemini (consumer products, retail, utilities, tax and welfare, public security, telecommunications, financial services and manufacturing). The transformation of corporations and governments is at the heart of this role. 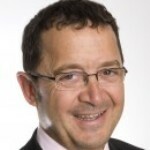 He started his career at the ‘Inspection Generale des Finances’ (French Treasury) and joined Capgemini in 1989. He holds a diploma of the ‘Institut d’Etudes Politiques de Paris and of the ‘Ecole Nationale d’Administration’. 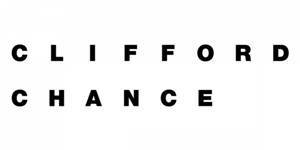 Partner, Clifford Chance Europe LLP since 2008. He is also a member of the International Insolvency Institute (III), Insol Europe and the French Committee for Private International Law. He held the position of Partner at White & Case (1997-2008). He has acted for a broad spectrum of clients in fields including financial institutions, private equity funds, industrial corporations and insolvency trustees in France and abroad. He graduated from the Institut d’Etudes Politiques of Aix-Marseille, the University of Aix-Marseille and the University of Munich. 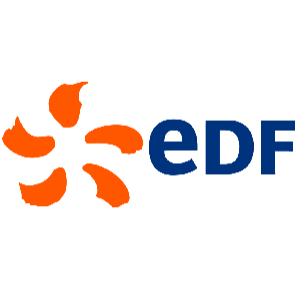 Head of Global Prospective and International Relations in 2011, within the Strategy and Prospective Division of EDF. Previous to this he was Head of Corporate International Relations (2007-2011). 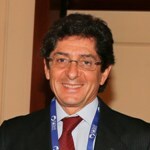 From 2000 until 2007, he co-founded EDF Italia, the commercial branch of EDF in Italy, where he acted as Head of Key Accounts and Deputy for Strategic Affairs and Energy Procurement. He previously worked in the Corporate Strategy Division of EDF, in charge of investment modeling and planning and regulatory affairs. 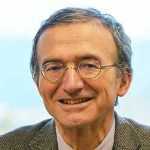 He was also appointed visiting Professor of Economics at the Dauphine University (Paris IX). He graduated from the Ecole des Mines de Paris. Adviser to the India Trade Centre for Oil & Gas. He joined the French natural gas monopoly Gaz de France for 20 years and ended as Head of the Financial and Treasury Department. In 1990, he became CEO of Banque Pétrofigaz, a credit bank dedicated to loans for energy investments. Retired in 2003, he founded Altergaz, first and main competition to Gaz de France Suez in the newly opened French market of natural gas. 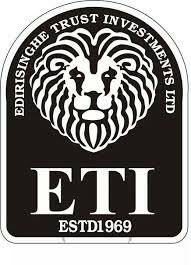 The Company was sold end of 2010 to E.N.I to match the ambition of challenging GDF Suez in the French market. He graduated from HEC in 1967. 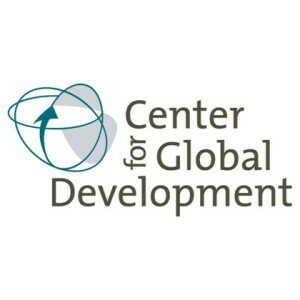 Senior Fellow, World Resources Institute. 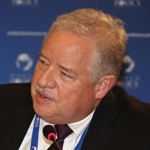 Previously, he was Economics and Policy Practice Leader in the World Bank’s Agriculture and Environmental Services Department, he coordinated the Secretariat of the Bank’s Global Food Crisis Response Program (GFRP), and was Program Manager for the Global Agricultural and Food Security Program (GAFSP). 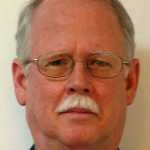 He also worked at the International Food Policy Research Institute and the International Livestock Research Institute. He holds a Ph.D. in Economics from Cornell University. 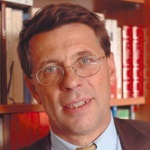 Member of the Institut de France and honorary professor at the Collège de France (Chair of Comparative Legal Studies and Internationalization of Law). 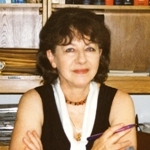 She has published numerous books and articles on criminal law, human rights law and globalization of the law, such as: Le flou du droit (PUF 2ème éd. 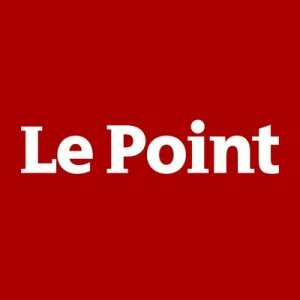 2004) ; Les grands systèmes de politique criminelle (PUF 1992) ; Pour un droit commun (Seuil 1994) ; Vers un droit commun de l’humanité (Textuel 2nd ed. 2005) ; Trois défis pour un droit mondial (Seuil 1998) ; Les forces imaginantes du droit : (I) Le relatif et l’universel, (II) Le Pluralisme ordonné, (III) La refondation des pouvoirs, (IV) Vers une communauté de valeurs ? 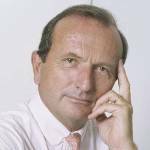 Seuil, 2004-2011; Libertés et sûreté dans un monde dangereux, Seuil, 2010 ; La Chine et la démocratie (avec Pierre-Étienne Will) ; Fayard 2007 Résister, responsabiliser, anticiper, Seuil, 2913 ; Le travail à l’heure de la mondialisation, Bayard, 2013. 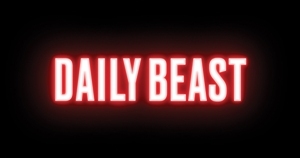 World News Editor, The Daily Beast. 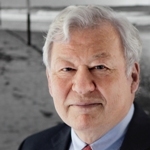 Former Paris Bureau Chief and Middle East Editor, The Daily Beast, author of seven books, most recently Our Man in Charleston: Britain’s Secret Agent in the Civil War South. He was formerly the Paris Bureau Chief for Newsweek Magazine, and previously covered the Middle East and Central America for The Washington Post. 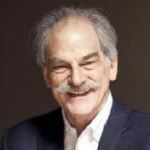 He has also written for Foreign Affairs, Foreign Policy, The New Yorker, The New York Review of Books, The New York Times Book Review, Wired and National Geographic. He frequently appears as a commentator on CNN, France 24, the BBC and many other networks in the United States and abroad. He is a member of the Council on Foreign Relations. Former Prime Minister of the Central African Republic (1999-2001) and former Chairman of the Central African States Development Bank (BDEAC) (2001-2010). He also served as Minister of Finance during Michel Gbezera-Bria’s mandate (1997-1999). He began his career at the Bank of Central African States (BEAC) in 1982 before being appointed as representative of its governor to France and the European Union in 1995. He holds a degree in economics from the University of Bordeaux, France. General Manager and Financial Director of Lebanese Company for Development and Reconstruction of Beirut Central District (Solidere). 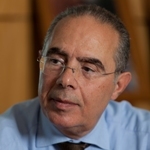 Member of the board of Directors of Beirut Waterfront Development, a subsidiary of Solidere in charge of the real estate development around Beirut Marina. 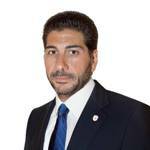 He has six years of experience with accounting firms in London and 15 years of experience in finance, business, accounting and management in the field of real estate and construction in the Middle East and Europe. 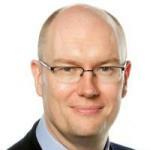 He holds a Bachelor degree in Economics, and is a Certified Chartered Accountant from the United Kingdom. Deputy editor of Le Point. She regularly contributes to RFI, Radio-Orient and France 24. She was Reporter for the French magazine Jeune Afrique and for Demain l’Afrique. She also served as Head of foreign section at Le Point, she was in charge of Middle East and Africa. 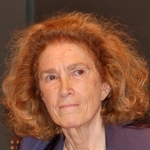 She is the author of « La Poudrière algérienne », Calmann-Levy, 1993, Paris, « Les Martyrs de Tibhirine » Ed. Brepols 1994, Paris, « Chroniques marocaines » Ed. Convergences, 2007, Paris. 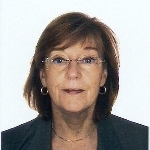 President of the Association of Honorary Consuls of Monaco since 2009. 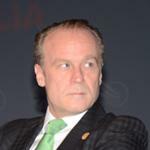 He is also CEO of M1 Real Estate, CEO of Façonnable and Executive Director of M1 Group. 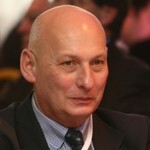 From 1995 onwards, he has settled in Monaco and managed the group’s European activities. In 1996, he becomes Honorary Consul of Lebanon in Monaco. He graduated in Finance from Boston University, Massachusetts. 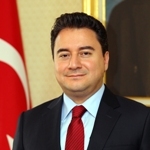 Consul General of the Republic of Turkey in Marseille (France) since 2012. She held various positions in the diplomatic missions of Turkey abroad such as First Secretary and then Advisor at the Embassy of Turkey in Roma (2005-2009), Third and then Second Secretary at the Embassy of Turkey in Paris (2000-2003), attaché and then Third Secretary at the Embassy of Turkey in Beijing (1998-2000). She graduated from the University of Marmara and Sapienza University, Roma. President of the Constitutional Council. Former French Foreign Minister. He served as Minister of Economy, Finance and Industry (2000-2002), Minister of Budget (1981-1983) and Minister of Industry and Research (1983-1984). From 1984 to 1986, during François Mitterrand’s first term, he served as Prime Minister. 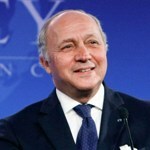 He also held the position of President of the French National Assembly, first from 1988 to 1992, then from 1997 to 2000. 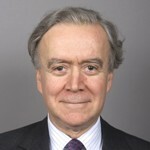 He has been a Member of Parliament for the Seine-Maritime department since 1978. He graduated from the École Normale Supérieure (ENS) and the École nationale d’administration (ENA) and holds a diploma in French language and literature. 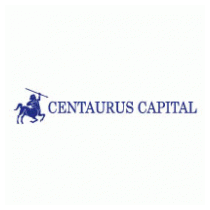 Senior Advisor, Mediobanca. 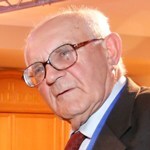 He started his professional activity working at Banca Nazionale del Lavoro (1966), and was appointed Director of the International Banking Consortium (1969). He then joined Lazard Frères Bank in Paris (1973). 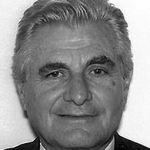 He was Managing Director of IFI International, in Paris; he also settled the Fiat USA Headquarters in New York (1978), and then he became Chairman and CEO of Fiat France and Senior Executive Vice President in FIATGroup from 1982 to 2006. 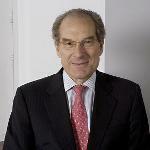 He was Vice-Chairman of Lazard International (2006-2009). 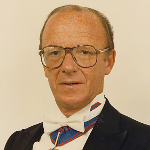 Now he is independent Director of La Compagnie des Alpes and he received the French and Italian Legion of Honour. He received a Ph. D. from Rome Law University. 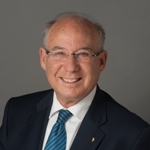 Executive Director of the Lowy Institute. He has also worked as a Visiting Fellow in Foreign Policy at the Brookings Institution in Washington, DC, an adviser to Australian Prime Minister Paul Keating, and a lawyer. He remains a Nonresident Senior Fellow at Brookings. He writes widely on foreign policy and global issues in The New York Times, Financial Times, The Washington Post, The Daily Beast, The Washington Quarterly, The National Interest and Foreign Affairs. He graduated from the Universities of Sydney and New South Wales and he holds a doctorate from the University of Oxford, where he was a Rhodes Scholar. Senator and former Minister of Foreign Affairs of Romania (2000-2004). 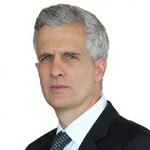 He is President of the Aspen Institute Romania since 2006. He served as President of the Romanian Senate (2008-2011). 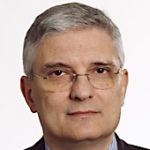 Previously, he was Chairman of the Romanian Social-Democrat Party (PSD) (2005-2010), Chairman of the Foreign Relations Committee in the Romanian Senate and member in the European Integration Joint Committee of the Romanian Parliament. He also served as Ambassador to the United States. He graduated from the Polytechnic Institute, the University of Bucharest and the Ecole Nationale d’Administration in Paris, France. President of the Royal Academy of Economics and Financial Sciences of Spain since 2002. 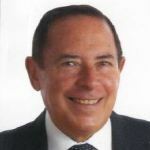 He has always reconciled his major activity, research, with business and financial institution management. In 1960, he is appointed Superior Chief at SEAT, and then Economic and Technical Advisor to the Executive Board. From 1969 to 1985, he worked as an economist. He received a doctorate “Honoris Causa” from 25 universities and he is a member of 12 world scientific academies. 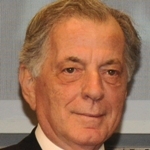 Doctor in Political and Economic Sciences by the University of Barcelone, he holds the Chair of Financial Economics and he is Professor Emeritus from the Spanish University. Director General of the Directorate General Communications and Language Services at the European Central Bank. 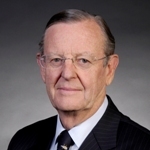 Former Partner and Managing Director in the Brunswick Group. Secretary-General of the Economic and Social Council of Monaco since 1999. 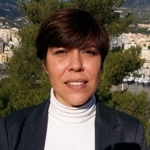 Previously, she served as Chief Secretary of the Economic and Social Council of Monaco. She also held the position of officer in the Lands Administration Department and of Supervisor in the Habitat Department. 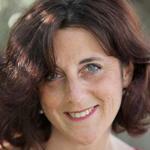 She is the Founder of Femmes Leaders Mondiales – Women and Violence Department. She holds a PhD in law. Sovereign Prince of Monaco. Since 1993, he has led the Monegasque delegation to the General Assembly of the United Nations. 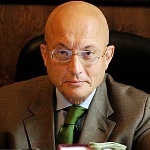 He also chairs the Mediterranean Science Commission (CIESM), intergovernmental body, which aims to promote multilateral international research and facilitate the exchange of information, in particular between countries on the north and south sides of the Mediterranean Sea. In 2006, he set up the Prince Albert II of Monaco Foundation dedicated to protecting the environment. He graduated in political science from Amherst College, Massachusetts, United States. 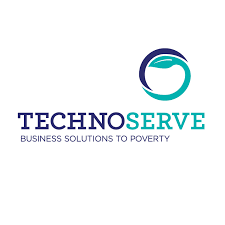 Regional Director for West and Southern Africa, TechnoServe. In this capacity, he is responsible for leading the organization’s strategy and operations for more than 10 countries in the region. Previously, he was a regional investment advisor for the United States African Development Foundation. 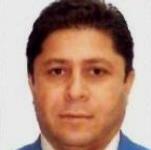 He was founder and CEO of Tigris Consulting, a consultancy focused on global sourcing and supply chain consolidation. 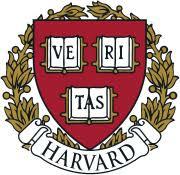 He graduated from Oberlin College and completed the Owner/President Management Program at Harvard Business School. 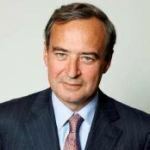 Capgemini’s Chairman and Chief Executive Officer since May 2012, Paul Hermelin joined the Capgemini Group in 1993, where he fulfilled various roles and became Group CEO in January 2002. 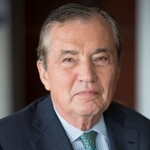 He was a member of the Office of Jacques Delors, former French Minister of Finance (1981-1984), and the chief of staff of Dominique Strauss-Kahn, former French Minister for Industry and Foreign Trade (1991-1993). Paul Hermelin graduated from Polytechnique and the École nationale d’administration (ENA). 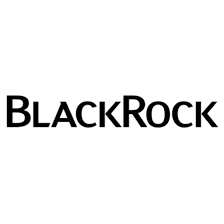 Vice Chairman of BlackRock Inc. 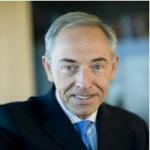 He most recently served as Chairman of the Governing Board of the Swiss National Bank. He played a prominent international role as a member of the Financial Stability Board (FSB) and as the Swiss Governor of the International Monetary Fund (IMF). 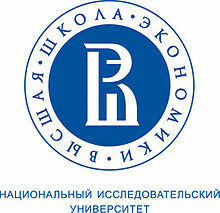 He had been a member of the central bank’s governing board since 2003. He graduated from the University of Toronto and from the Graduate Institute of International Studies in Geneva. Executive Director, International Energy Agency. 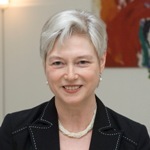 She has served as Executive Director of the International Energy Agency (IEA) since September 2011. 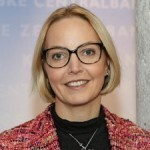 She has steered the IEA during a period of exceptional change in the global energy landscape, and is taking the initiative to address the challenges of global energy governance. Her priorities include building and formalising cooperation with the major emerging energy players of the 21st century, and also expanding energy access. She was formerly Minister of Economic Affairs of the Netherlands. 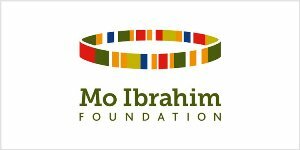 Founder and Chair of the Mo Ibrahim Foundation which he established in 2006 to support good governance and exceptional leadership on the African continent. Sudanese-born, he has a distinguished business career. 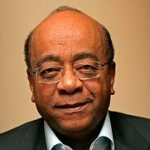 In 1989 he founded Mobile Systems International (MSI), a world leading cellular consulting and software provider and in 1998, Celtel International, one of Africa’s leading mobile telephone companies which pioneered mobile services in Africa. He is also Founding Chairman of Satya Capital Limited, a private equity fund focused on Africa and Chairman of TPG-Satya, a Joint African Investment Alliance. 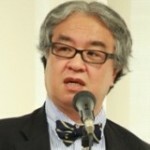 Foreign policy columnist at the Nihon Keizai Shimbun (The Nikkei Newspapers) in Tokyo. 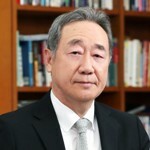 He received the Vaughan-Ueda Memorial Prize (Japanese version of the Pulitzer Prize) in 1998 for his outstanding news gathering and analysis in international affairs. 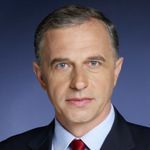 His journalistic career includes four years in the Nikkei’s Washington, DC, bureau as chief political correspondent and, subsequently, as a fellow at the Foreign Policy Institute of the Paul H. Nitze School of Advanced International Studies (SAIS), Johns Hopkins University. He graduated from Waseda University in Tokyo. Advisor to the Prime Minister of Lebanon. He is also Executive Director at M1 Group. For many years, he served as Chairman-General Manager of Saradar Investment House, the investment banking arm of Saradar Group. 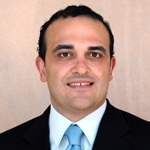 After several years at Merrill Lynch, Paris, he joined the Méditerranée Group in Lebanon as advisor to the Chairman and Deputy General Manager of Méditerranée Investment Bank. He holds a degree in Civil Engineering, a MBA from INSEAD (France). CEO, Asia-Brazil Agro Alliance. Former Director of Global Public and Governmental Affairs at Brasil Foods (BRF), one of the largest food companies in the world. 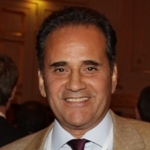 Former President & CEO of the Brazilian Sugarcane Industry Association (UNICA) (2007-2012). 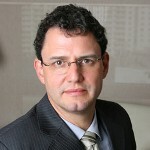 Founding president of the Brazilian Institute for International Trade Negotiations (ICONE) (2003-2007). 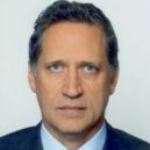 He also worked as Special Expert in Trade at the Inter-American Development Bank (IDB) in Washington D.C. (2001-2002). He holds a PhD from the University of São Paulo (FEA/USP). 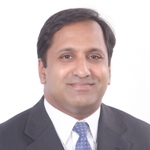 Chief Executive Officer of Capgemini India. 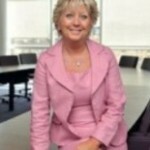 Prior to assuming this role in January 2011, she was the Global Delivery Officer for Capgemini Outsourcing. 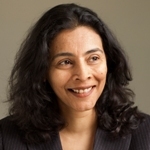 She has over 2 decades experience in the IT services industry and has worked in both multinationals and pure-play companies. She has worked out of Europe and North America and continues to travel extensively meeting customers, analysts and Capgemini staff, getting a pulse of customer expectations and market direction. President of the Alliance for a Green Revolution in Africa (AGRA). 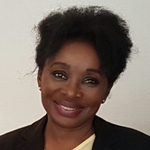 She oversees one of Africa’s largest grant-making organizations in the food security and agricultural development sector. 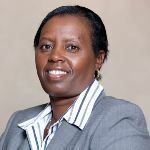 She took up the presidency of AGRA in 2012 after serving as Deputy Chief Executive and Secretary-General of Telkom Kenya. She has held senior positions in a number of international corporate organisations including Cadburys Limited, as Managing Director for East and Central Africa. She graduated from the University of Nairobi and holds an MBA in Marketing from the National University of California. 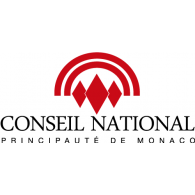 Honorary Consul of the Republic of Croatia in the Principality of Monaco. 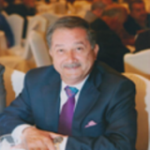 He is also an International Business Consultant for European Industrial Groups with interests in the Mediterranean basin and in the Middle East, areas where he has developed his own network of strategic contacts. 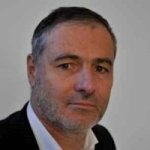 He has been co-founder and Chief Executive Officer of two European Information Technology companies and Special Advisor to MONACO TELECOM (2003-2010) for new business development. 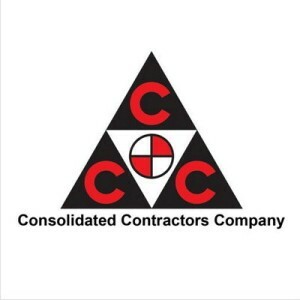 President, Engineering and Construction, Consolidated Contractors Company (CCC). He is active in many economic institutions around the world. He is a Director of Palestine Investment Fund PLC. 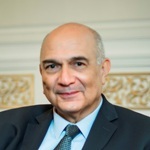 He is also a board member of more than 28 regional and internationally renowned organizations and Arab and international institution operating in the field of economics. 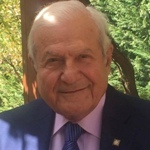 He received a Master’s degree from the University of Southern California and a Bachelor’s degree in Civil Engineering from California State University in the United States. Associate Dean for Ageing, Institute for Ageing and Health, Newcastle University. 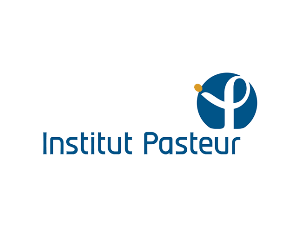 Professor of medicine and biologist, he is Co-holder of the AXA-Paris Descartes Chair in “A systems approach to individual differences in longevity”. 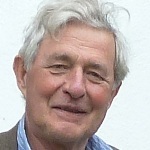 A former researcher at the National Institute for Medical Research, in 1993 he became professor of biological gerontology at the University of Manchester. He has served as Advisor to the British Parliament and European President (Biology) of the International Association of Gerontology. He graduated from Oxford and Cambridge in the fields of biology and mathematics. Senator, Minority Leader of the Polish Senat. He served as Minister of Defence (2007-2011) and Member of the European Parliament. He managed the Information Department at State TV Centre in Cracow (1990-1992). 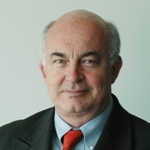 He was the head of the International Centre for Development of Democracy in Cracow (1993-1999) and the Institute for Strategic Studies (1999-2003). 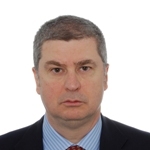 In 1998 and 1999 he was an adviser to the government plenipotentiary for Poland’s accession negotiations with the EU. He graduated from the Faculty of Medicine at the Cracow Medical Academy and from the Faculty of Philosophy and History at the Jagiellonian University. Executive Director, Edmond de Rothschild Foundations. 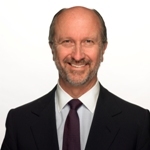 Since 2005, he has been the Executive Director of the Edmond de Rothschild Foundations. He is in charge of the strategy, implementation and financial management. Across all regions, EDRF works to create social empowerment and a more collaborative society, supporting projects and programs in education, the arts, health and social entrepreneurship. Previously, he spent over 12 years in investment banking at Paribas, specialising in project and media finance, privatisation and the creation of public-private partnerships. He graduated from McGill University and the University of Oxford. Advisor for Strategic Affairs and Asia to the French President. Former Deputy Director of the Policy Planning Staff for the French Foreign Office. 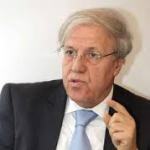 He was France Ambassador to Turkmenistan (2006-2009), Deputy Director of the South-East Asia section for the Foreign Office (2002-2006), Diplomatic advisor on International Affairs for the Minister of Defence, Sir Alain Richard (1997-2002) and Chief Clerk of the Asia-Pacific section at the Delegation for Strategic Affairs for the Department of Defence (1992-1996). 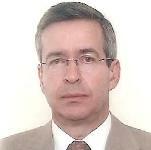 He holds a PhD in Sovietics Studies, a Master’s Degree in Econometry and a Master’s Degree in International Relations. 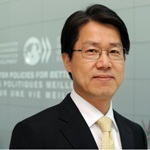 Ambassador, Permanent Representative of Korea to the OECD since 2013. Previously, he was Deputy Minister for Trade at the Ministry of Foreign Affairs and Trade (2011-2013). He also served as Ambassador to Poland (2006-2009). He joined the Ministry of Foreign Affairs in 1980. He has worked, among other assignments, at the Korean Embassy in Washington, D.C. and the Permanent Mission in Geneva. 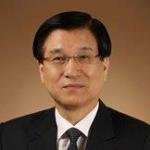 In 2010, he was appointed Chief of Protocol of the Presidential Committee for the G20 Summit in Seoul. He graduated from Seoul National University. 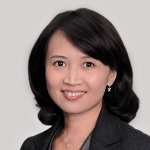 Managing Partner, SI Capital Partners (SICP). He is also the founder of Maya Finance (investment and real-estate management) and the founder and a Board Member of Quantam, a high frequency trading hedge fund. He was CEO of Editions Moreux (professional publications on Africa, infrastructure and shipping). 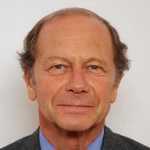 He is a member of both the Comité des Investisseurs Francais en Afrique and the Forum Francophone des Affaires. He holds an MBA from HEC. 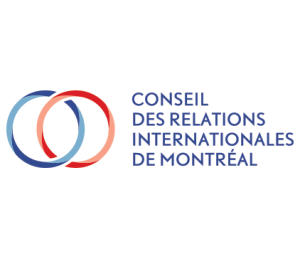 President & CEO, The Montreal Council on Foreign Relations. He is a member of the Barreau du Québec (Bar of the Province of Quebec). 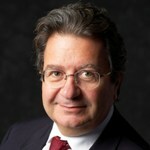 He has most notably been active as International Vice-President of Manufacturers and Exporters of Quebec (MEQ), President and Editor of the international magazine World Economic Affairs, Managing Director of Samson Bélair/Deloitte & Touche International, and Vice-President of the International Economic Law Society of Canada. He graduated from the Université de Montréal, the École nationale d’administration publique, McGill University, the Université de Montréal and the Université de Paris. 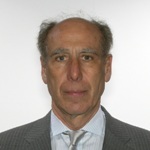 Deputy Secretary-General of the OECD since December 2011. He is in charge of Social Affairs, Education, Governance and Entrepreneurship. 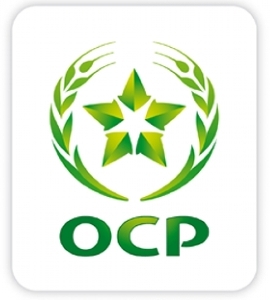 Before joining the OECD, he held a variety of political posts in Belgium at all levels and in all areas of government. He served as Deputy in the Chamber of Representatives, Group Chairman, National Secretary and Chairman of the CD&V party, Minister-President of the Flemish Government, Federal Senator, Deputy Prime Minister, Minister of the Budget and Mobility, Minister of Foreign Affairs and Prime Minister. 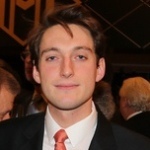 He has a degree in Law and Political Science from the University of Ghent. Chief of Cabinet of H.S.H. 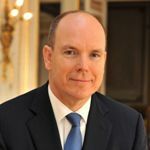 Prince Albert II of Monaco. His career in the Monaco administration led him from the Hospital Princesse Grace to the General Secretariat of the National Council. He then worked at the General Directorate of Public Finance from 2000 to 2004 before he joined the Cabinet of the Prince in January 2005. He is a trained jurist. 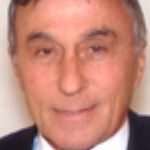 He obtained a Doctorate in public law with a thesis on the Monegasque Constitution of 1962. 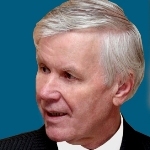 Vice President, International Strategic Initiatives at the U.S. Chamber of Commerce since 2012. He joined the U.S. Chamber of Commerce in 1995. He held various positions there such as Vice President, Europe Policy & Global Initiatives (2008-2012), Vice President, Europe and Eurasia (2000-2008), Executive Director, Business Councils for Transition Economies (1995-2000). 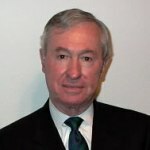 He also served as Associate, International Trade and Investment Division at the Law Offices of Stewart and Stewart, Washington, D.C. (1992-1995). He has received Juris Doctor degree from the George Washington University and pursued executive training at the Georgetown University. Former Director of the Global Economy Program at the Centre for International Governance Innovation (CIGI). He also serves as Chairman of the Oxford Institute for Economic Policy and Vice-Chairman of the New Rules for Global Finance Coalition. 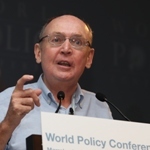 Formerly, he was a Senior Fellow at the Brookings Institution and a member of the Executive Boards of both the International Monetary Fund and the World Bank. Earlier on, he worked in the Research Department of the Bank of Italy. 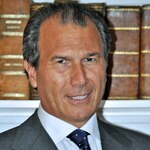 He graduated from the Bocconi University in Milan and from Oxford University’s Nuffield College. Ambassador of Sweden to France and to the Principality of Monaco. 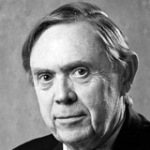 He served as Economic and Financial Advisor to the Swedish delegation at the OECD in Paris (1980-1983). He was appointed Deputy Minister, Ministry of Finance in 1988, then Deputy Minister for European Affairs, Ministry of Foreign Affairs in 1994 and Ambassador and Permanent Representative of Sweden to the European Union in 1999. 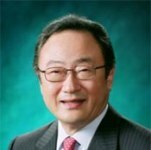 In 2002, he was appointed Minister in charge of International Economic Affairs and Financial Markets, Ministry of Finance. He also held the position of Ambassador to the United States (2005-2007). He graduated from the Universities of Uppsala and Stockholm and Columbia University. 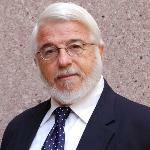 Director of the Center for Energy at Ifri. She began her career in the French National Assembly as a staffer. After five years in the staff of the Defense Committee, she joined the staff of the Law Committee and then the Foreign Affair Committee. Executive at Areva, she was in charge of international affairs for the Chief Executive Officer and of international prospective. She was then responsible for European and international Public Affairs. She graduated from the Ecole Normale Supérieure, the Institut d’études politiques, Paris and the Sorbonne Paris IV-University. Justice of The Supreme Court of the United Kingdom. 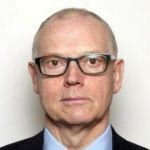 He chairs the Executive Council of the International Law Association and the Lord Chancellor’s Advisory Committee on Private International Law. 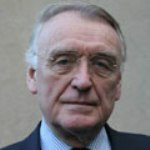 He is a member of the Judicial Integrity Group and of the seven person panel set up under the Treaty on the Functioning of the European Union (article 255) to give an opinion on candidates’ suitability to perform the duties of Judge and Advocate-General of the European Court of Justice and General Court. He represented the United Kingdom on the Council of Europe’s Consultative Council of European Judges (2000-2011). Vice-President at UBIFRANCE. 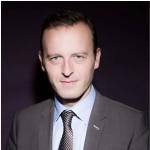 He is President at Car’Flow, and President and Founder of European TK’Blue Agency, JKPM, and Cercle pour l’Optimodalité en Europe. 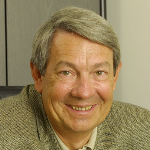 Since 1979, he has established several industrial or service-providing companies on an international level. He graduated from the National Polytechnic Institute of Lorraine (France) and from ENSAIA, the National Higher Agricultural Engineering and Food Industry School of Nancy. 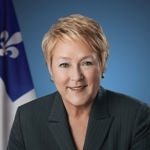 Former Premier of Québec. In 1978, she made her official entry into the political arena as the press attaché to then Minister of Finance Jacques Parizeau. She was elected to the National Assembly for the first time in 1981. She has headed numerous ministries, including the Status of Women, Labour and Income Security, Revenue, Education, Child and Family Welfare, Health and Social Services, Economy and Finance, Research, Science and Technology, and Industry and Trade. 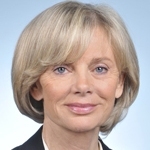 She has also served as Chair of the Conseil du trésor. She was also Deputy Premier (2001-2003). She graduated from Université Laval and from HEC Montréal business school. Frankfurt correspondent of the Italian financial daily, Il Sole 24 Ore since 2012. 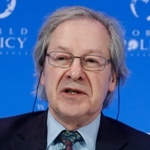 Previously, he was a senior writer and columnist on global economics and finance, financial editor and London correspondent. 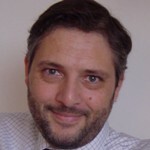 He is also a frequent contributor to Radio 24, the all-news radio station of the 24 Ore Group. 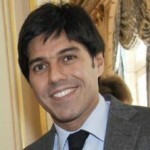 Before joining Il Sole 24 Ore, he worked as a business reporter at Il Giornale. 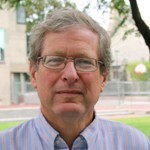 He has been a visiting scholar at the Massachusetts Institute of Technology. In 2002 he won the first Italian edition of the Citigroup Award for Journalistic Excellence. He graduated from the University of Modena and the University of Illinois. 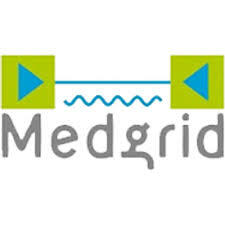 Executive President, MEDGRID. 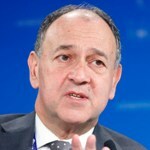 He is also President of the supervisory board of RTE, the company responsible for running the French electricity transmission system and of ERDF, which manages the public electricity distribution network in France, President of CIGRE (International Council on Large Electric Systems), and First President of the Executive Board and Founder of RTE. He was Special Advisor to the European Energy Commissioner. 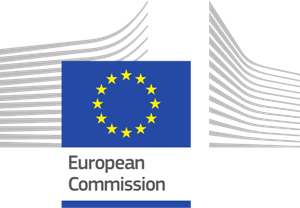 He was the founder and former President of the European Network of Transmission System Operators for Electricity (ETSO). Head of the Middle East/Maghreb Program at Ifri. 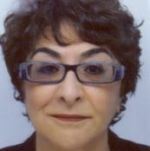 Mansouria Mokhefi holds a Master’s degree from New York University and a Doctorate from the Institut d’Etudes Politiques de Paris. She formerly taught at New York University and at the Institut des Langues et Civilisations Orientales. She co-authored a book on Le Maghreb et son Sud (Editions du CNRS, 2012). 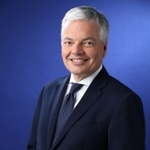 Member of the AXA Management Committee, Chairman & CEO of AXA France and in charge of overseeing the worldwide operations of AXA Assistance and AXA Global Direct. 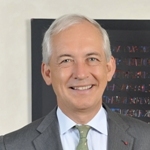 He joined AXA in 1991 as Vice-President of the Finance Department and was appointed Senior Vice-President of the AXA Group Finance Department in 1994. 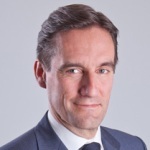 In 2002, he was promoted to CEO of AXA Investment Managers and, following his appointment as Group Chief Executive Officer of AXA UK, he became non-executive Chairman of the Board of AXA Investment Managers. 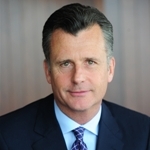 He was Group Chief Executive of AXA UK (2006-2010). He graduated from the Ecole Polytechnique and has an actuarial degree from the Centre d’Etudes Actuarielles. Ambassador of France to Monaco. He joined the French Foreign Service in 1991. He was, among others, Chief of Staff of the State Secretary for Sports, Mrs Rama Yade (2009-2010), Chief of Staff of the State Secretary for Foreign Affairs and Human Rights, Mrs Rama Yade (2008-2009), Deputy Director of the Communication and Information Department at the Ministry of Foreign Affairs (2007-2008) and Technical Advisor to the French Presidency as Deputy Spokesperson (2006-2007). Ambassador of the Order of Malta to Monaco since 2010. 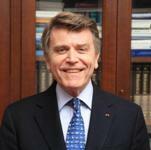 He was first named Ambassador and Permanent Representative of the Order of Malta to Monaco in 2007. In 2006 he established Marco Research S.A.M. He was President and CEO of Festival Management S.A.M. 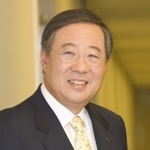 (1999-2004), a Senior Advisor with Stanley Associates Inc. (1994-1998). During his 31-year career as a Foreign Service Officer with the Department of State in Washington, he held top management and supervisory positions at US diplomatic missions throughout the world and as well as at the Department of State in Washington. Former Group Managing Director and Chief Executive of Kenya Airways. He joined the Magadi Soda Company in 1979 and became Managing Director in 1995. 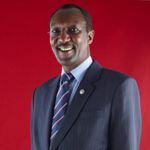 He served as permanent secretary to the Ministry of Information, Transport and Communications of Kenya and was a member of the Board of Kenya Airways (1999-2001). 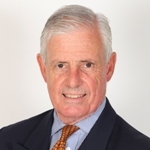 He is a board member of, among others, Kenya Airways Group of Companies, Maersk Kenya Ltd, and Access Kenya Ltd. He is also Chancellor of South Eastern Kenya University. He graduated from the University of Nairobi and the Harvard Business School. 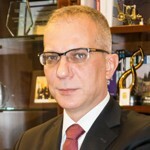 Chief Financial Officer Vimetco N.V. and President of the Board of Directors – Alro Slatina, the largest aluminium smelter from Central and Eastern Europe. 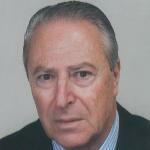 He has extensive experience in financial consulting and auditing. 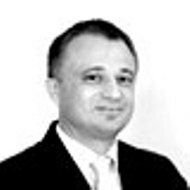 He has worked at Deloitte & Touche in Romania, and previously in advisory business firms. 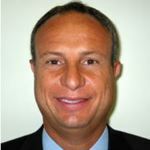 In 2002, he joined Alro as CFO and member of the Board. 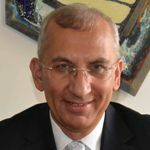 He was subsequently appointed Vimetco Group Country Director for Romania, and his current mandate covers all Vimetco Group operations in aluminum and electric power in the country. He graduated from the Bucharest Academy of Economics. President of the National Council of the Principality of Monaco since 2013. He is also President of the Monaco Delegation to the Parliamentary Assembly of the Organization for Security and Cooperation in Europe (OSCE). He is a member of several commissions: Finance and National Economy, Foreign Relations, Education and Youth. He served as President of the Legislation Commission of the National Council. He graduated in law from the University of Paris II Assas. 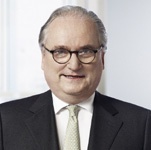 Former Chairman of the Management Board of HSH Nordbank since 2012. 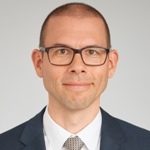 He has been a member of the Management Board of HSH Nordbank since 2009, initially as Chief Risk Officer (CRO), before being appointed Chief Financial Officer (CFO). He also served as Deputy Global Head Credit Risk Management Real Estate in Frankfurt and London at the Deutsche Bank (2001-2009). In 2000, he assumed the position of Global Head for Credit Risk Management Developed Markets (investment bank) at the Deutsche Bank in London. He trained as a banker at Deutsche Bank AG in Hamburg. Former Ambassador of the Republic of Poland to France. He joined the Ministry of Foreign Affairs in 1990. He served as Chief of Protocol at the Ministry of Foreign Affairs (2005-2007). He held the position of Deputy Director of the Division for the United Nations System and Global Issues at the Ministry of Foreign Affairs (2004-2005). He was also Secretary General of the Polish National Commission for UNESCO (2001-2004). He graduated from the University of Lodz, the University Nicolas Copernic in Torun and the University of Poitiers. Founder of the publishing company Encre d’Or. In 2009, she set up the collection “Carnet d’inspiration”, which is about noteworthy regions and cities and which highlights simultaneously historical, artistic, literary, culinary, environmental and technological heritage. 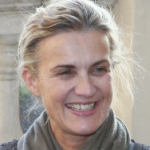 She served as Editor in chief at Le Figaro Mediterranée (1993-1998). 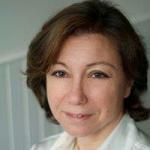 She was a journalist at Hersant Group, correspondent for Le Figaro Magazine and Le Figaro (1989-1993). As a writer and a publisher, she has been working on the combination of paper books and digital technology, within the European program CCALPS: Creative Companies in Alpine Space. 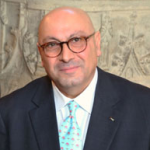 Ambassador of Greece in France since 2013. 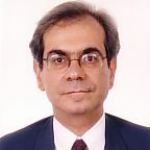 He served among others as Permanent Representative of Greece to UNESCO, Director of the Diplomatic Cabinet of the President (2005-2010), Consul General of Greece in Milan (2002-2005), Deputy Head of the Diplomatic Cabinet of the Foreign Minister (2000-2002). He joined the Diplomatic Service in 1982. He graduated from the University of Athens, Tufts University and Harvard. Chief of Cabinet at the Ministry of Foreign Affairs of Mexico since 2013. 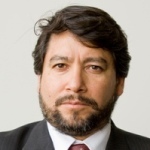 Previously, he served as Executive Director at the International Monetary Fund (IMF) (2010-2012), Manager, domestic operations, Banco de México (2004-2009) and Manager, analysis of central bank operations, Banco de México (2001-2004). 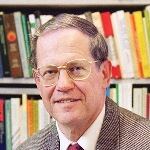 He taught economy courses and held research positions at the University of Chicago (1994-2000). He graduated from the Universidad Iberamericana and he holds a PhD from the University of Chicago. 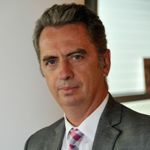 Director General of the Foreign Relations Department of Monaco since 2008. 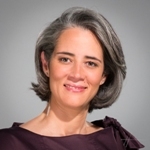 Previously, she served as Director of Legal Affairs, Monaco (2006-2008). She also held various positions within the Department of Finance and Economy (1995-2006) such as technical advisor, chargé de mission and officer. She graduated from the University of Nice Sophia-Antipolis. 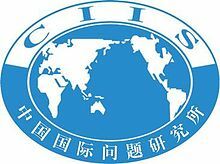 President of the China Institute of International Studies (CIIS). 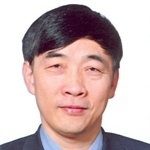 Professor at China Foreign Affairs University (CFAU), he teaches mainly on China’s Contemporary Diplomacy and History of China-France Relationship. He was Vice President of CFAU and Minister to Chinese Embassy to France. 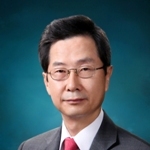 He graduated from Beijing Foreign Studies University (BFSU) in French language and literature, from China Foreign Affairs University (CFAU) in Diplomatic History and from the Institute of Political Studies (IEP Paris) with a doctor degree in politics. French journalist and Co-President of the Institut de l’Iconomie. 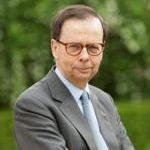 He was the head of the Nouvel Économiste (1997-2000), editor of La Lettre A (1993-1997), editor of the daily newspaper La Tribune de l’Expansion (1991). 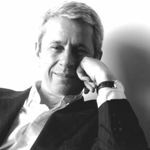 He was also Managing Director of La Tribune and l’Agefi (1984-1985), journalist in the economic section of Le Monde (1973-1984), journalist at the daily newspaper Les Echos (1970-1973). 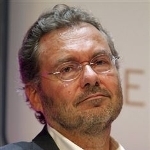 He is the author of La Crise Globale (2008) and La Dernière Bulle (2009) (Editions Mille et une Nuits, Fayard), Mourir pour le yuan (2011) Editions Bourin and Le Choc des Empires (2014), Gallimard, Alstom scandale d’Etat, Fayard (2015). He graduated from the CFJ (French centre for journalism studies). Deputy Prime Minister and Minister of Foreign Affairs and European Affairs of Belgium. Minister of Foreign Affairs, Foreign Trade and European Affairs (2011 – 2014). He served as Minister of Finance (1999-2011), Chairman of the Eurogroup (2001), Member of the G7 (2001), Chairman of the G10, which is the meeting of the main creditor States (2002), Minister in charge of the Belgian Buildings Agency (2003-2011), Minister of Institutional Reforms (2004-2011). He has been a Member of Parliament since 1992. 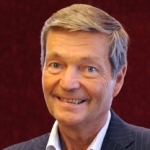 He also held the position of Chairman of the National Railway Company of Belgium (1986-1991) and of the National Society of Airways (1991-1993). 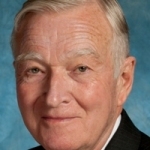 President Emeritus from the Chicago Council on Global Affairs and adjunct professor of political science for the Buffett Center for International and Comparative Studies at Northwestern University, Illinois. He is also a visiting professor at the Graduate School of International Relations and Pacific Affairs of the University of California. He worked during thirty years at the Chicago Council on Global Affairs, as Executive Director (1971-1974) and then as President (1974-2001). He also served in the U.S. Department of State (1962-1963). He was Foreign Policy Assistant to Senator and Vice President Hubert Humphrey. He obtained a B.A. at St. John’s University, Collegeville (Minnesota) and a PhD in political science at Harvard University. Québec’s Delegate General in Paris since 2010. He is also the Premier’s official representative to the International Francophone Organization (OIF). 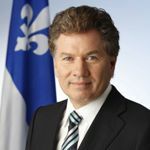 Prior to taking up his duties in Paris, he was appointed the first CEO of the Francophone Centre of the Americas (CFA) by the Government of Québec in 2008. 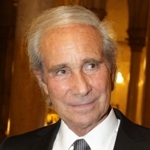 He also served as Québec’s Delegate General in New York (2002-2007). 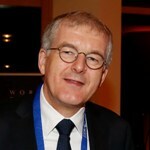 He has held various positions within Québec’s international diplomatic network, among others in Brussels as Director of Public Affairs, Cooperation and Culture. Minister of State of the Principality of Monaco. Previously, he served as a member of the High Court of the Principality of Monaco (2007-2010). He also held the positions of Advisor in charge of Education and Research to the French Prime Minister Jean-Pierre Raffarin (2002-2005). He was a lawyer at Poitiers Bar until 1974 and he taught at the Law Faculty of Poitiers until 1986. He graduated in private law and criminal sciences and he holds a PhD in private law. 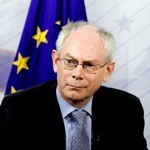 First full-time President of the European Council. He was Prime Minister of Belgium in 2009. Prior to this he served as President (Speaker) of the Chamber of Representatives. 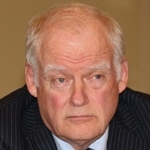 He has held a number of portfolios in the Belgian Government including Secretary of State for Finance (1988), Vice Prime Minister and Minister for Budget (1993-1999). He also worked as an economist in Belgium’s central bank and served in both the Senate (1988-1995) and the Chamber of Representatives (1995-2009). 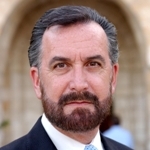 International Director of Interreligious Affairs of the American Jewish Committee (AJC) and Honorary Advisor on Interfaith Relations of the Chief Rabbinate of Israel. Among his honorary positions, he is President of the World Conference of Religions for Peace and serves on the Board of Directors of the KAICIID Dialogue Center founded by King Abdullah of Saudi Arabia together with the governments of Austria and Spain and the Vatican. In November 2005, he was made a Knight Commander by the Pope, and in 2010 he was made a Commander of the British Empire by Queen Elizabeth II. He is a former Chief Rabbi of Ireland (1979-1985) and former Senior Rabbi of the largest Jewish congregation in South Africa (1975-1979). 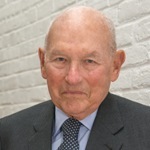 Rothschild Group Chairman. 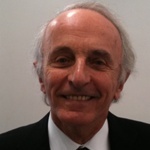 He has been in the business for 40 years and has worked in different branches of the family firm. 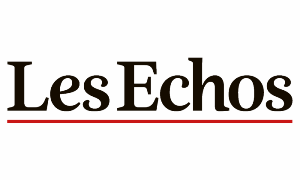 In 1981, Banque Rothschild, the company originally founded by James de Rothschild in 1812 under the name De Rothschild Frères, was nationalised by the French government. A regrouping was led by David de Rothschild and his cousin, and they finally secured the right to operate a new banking business under the family name in 1986. He also sits on the boards of Casino and Compagnie Financière Martin Maurel. 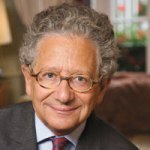 He is also President of the Fondation pour la Mémoire de la Shoah. 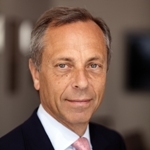 Executive Chairman for the new Asia-Pacific entity of the Capgemini Group. 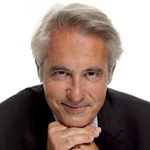 Former Chairman & CEO of Sogeti and member of Capgemini Group Executive Committee. 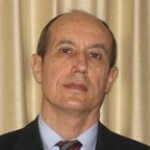 He joined Cap Sogeti Group in 1978. 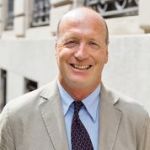 He served among others as Vice Chief Executive of Capgemini France, Vice Chief Executive Officer of Capgemini America and Deputy Director of Cap Gemini Ernst & Young Group. 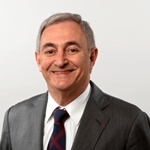 Since 2009, he has been the Executive Committee’s sponsor for Defense activities in France, acting on behalf of the Capgemini Group. 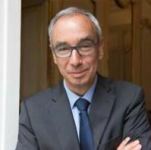 The French Chairman of the Joint Chiefs of Staff appointed him as National Coordinator of the French Cyber Defense Military Reserve in 2012. He graduated from the University Witwatersrand, South Africa and from the Institut des Hautes Etudes de Défense Nationale. Secretary-General of the National Committee for Christian-Muslim Dialogue. 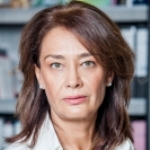 Board member of KAICIID –Vienna, and member of the board of WCRP-New York. Secretary General of the Islamic Permanent Committee (Sunnit-Shiat Druze), and Secretary General of the Executive Committee of the Christian-Muslim Arab Group. 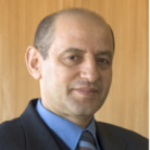 He serves as a member of the Lebanese National UNESCO Committee. 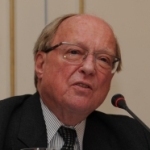 He is the author of various books on intra-Arab relations, interreligious relations, minority affairs, politics and religion and the history of the Middle East. Chairman and CEO of Nur Energie. After working as a management consultant at McKinsey& Co., he co-founded the European Telecom and Media Investment Banking Practice at the Investment Bank Salomon Brothers (now Citigroup). 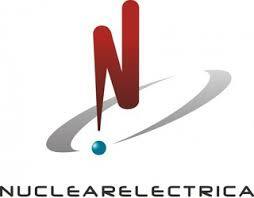 In 2008, he founded Nur Energie, an industrial scale solar power plant developer. He obtained a B.A. in Physics from Vassar College (New York) and a MBA from the Ecole Nationale des Ponts et Chaussées (Paris). 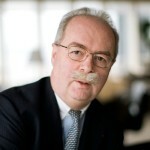 Board member of EFG Bank (Monaco). He is also President of the Brotherhood of Pammakaristos, Archons of the Ecumenical Patriarchate. 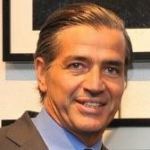 He served among others as vice director of American Express (Athens), vice director of American Express Bank (Paris), general manager of American Express Bank (Monaco), and senior vice president and general manager of E.F.G. Bank (Monaco). He graduated from the University of Thessaloniki, the University of Room and from Victoria University of Manchester. 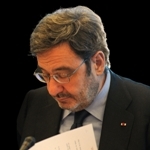 Head of the French Council of State since 2006. 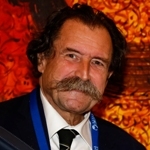 He is also President of the Association of Councils of State and Supreme administrative jurisdictions of the European Union (ACA-Europe) since 2012 and president of the committee established by the article 255 of the Treaty on the functioning of the European Union (committee set up by the Treaty of Lisbon and in charge of giving an opinion on candidates’ suitability to perform the duties of Judge and Advocate-General of the European Court of Justice and General Court) since 2010. He graduated from the Institut d’études politiques de Paris, the University Paris I and the Ecole nationale d’administration (ENA). 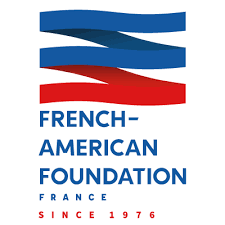 CEO, Investisseur et Partenaire (I&P), member of the Académie des Technologies and French General Inspector of Finance. 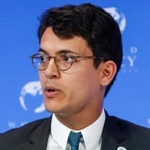 He served as Director in charge of international development at the Ministry of Cooperation and Development, Vice-President of the World Bank for Asia, CEO of France’s International Development Agency (AFD). 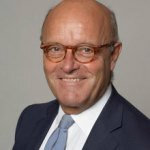 He chairs the audit committee of the Board of Danone, the Board of Ecobank International and he is a Board member of Orange. 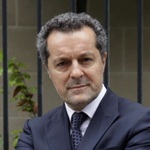 He is also member of the Boards of FERDI, IPEMED, Carrefour, Alstom and Avril foundations. He graduated from the Ecole Supérieure de Commerce de Paris, the Institut d’Etudes Politiques of Paris and the Ecole Nationale d’Administration. Ambassador of India to France since 2013. 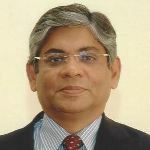 Previously, he was Deputy Chief of Mission at the Embassy of India, Washington D.C (2008-2013), Ambassador of India to Israel (2005-2008), Joint Secretary at the Ministry of External Affairs (2000-2005). 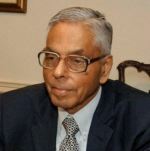 He also served in the Indian Mission at Moscow as Counsellor-Minister (1997-2000) and as Counsellor at the Permanent Mission of India to the United Nations Office, New York (1993-1997). 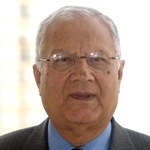 He joined the Indian Foreign Service in 1979. He graduated from Delhi University. 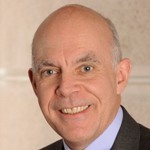 Founder and chairman of the Competitive Enterprise Institute (CEI) and Director of its Center for Advancing Capitalism. He currently sits on the Institute Turgot. 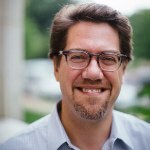 Formerly, he served as Director of Government Relations at the Council for a Competitive Economy, as a senior economist at the Association of American Railroads and as a senior policy analyst at the Environmental Protection Agency. He regularly takes part in U.S. television and radio programs and is the author of numerous publications. He holds a B.S. degree in Theoretical Mathematics and Political Science from Tulane University. Member of the Atlantic Council of the United States. As a career officer in the United States Foreign Service for 35 years, Ambassador Stadtler was assigned to the United Kingdom, Germany, South Africa, Ethiopia, Sweden and Benin. He served as Advisor to the US Secretary of Defense, European Advisor to the US Mission to the United Nations, Vice President of National Defense University in Washington, DC, and as an advisor to the leaders of the Baltic Republics on developing their post-Cold War policies. 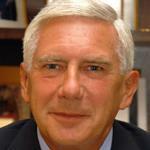 From 2008 – 2010, he was President and CEO of the National Defense University Foundation. A graduate of Fordham University in Classics, he pursued graduate studies at Columbia University and also studied at the Sorbonne and the University of Perugia in Italy. He is interested in political-military affairs as well as development issues such as the provision of clean water and micro-enterprise capacity building. President of the Board of Institute for Strategic Studies since 2007. Previously, she held the position of Director of the Institute for Strategic Studies (2004-2007). 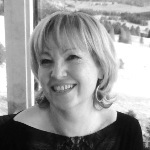 She also served as a columnist in “Dziennik Polski”, Krakow (1990-2003). 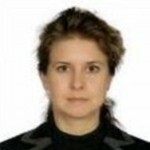 She is the author of numerous publications concerning foreign policy and international security. She graduated from Jagiellonian University – Institute of Political Science and International Relations. Ambassador of the Republic of Singapore to the French Republic and Portugal. 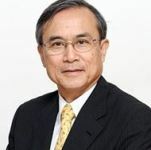 He was the Permanent Representative of Singapore to the United Nations in Geneva (2007-2010) and the Permanent Representative of Singapore to the International Atomic Energy Agency in Vienna. He joined the Singapore Civil Service in 1985 and worked in the Ministry of Defence and in the Ministry of Foreign Affairs. He served as First Secretary in the Singapore Embassy in Paris, as Minister-Counsellor and Deputy Permanent Representative in the Singapore Permanent Mission to the United Nations in New York. He graduated with a Diplôme d’Ingénieur from the Ecole Nationale Supérieure de Chimie of Strasbourg, France. Ambassador and French Interministerial Delegate for the Mediterranean. He began his career at the French Embassy in Dar es Salaam (Tanzania) in 1982 and was later posted to the Permanent Mission of France to the UN in New York (1984-1988). 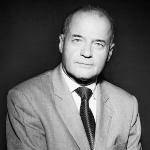 He was Diplomatic Adviser to Minister Bernard Kouchner, Minister of State attached to the Prime Minister with responsibility for humanitarian action (1988-1992). He also served as Technical Adviser in the Prime Minister’s Private Office with responsibility for Africa and the Middle East (1997-2002), Ambassador to Monaco (2002-2007), Deputy Director of the Private Office of Dr Bernard Kouchner, Minister of Foreign and European Affairs (2007-2008).